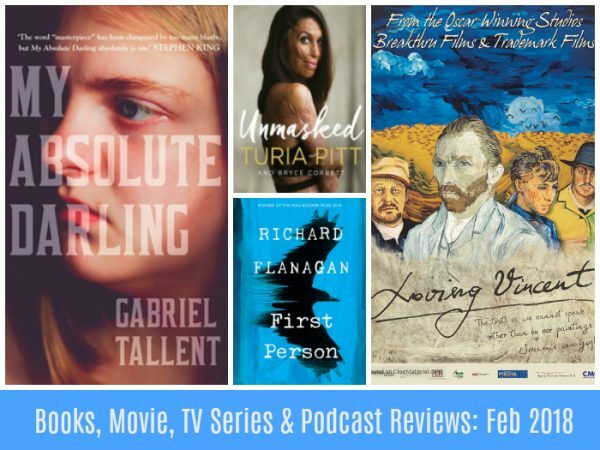 Like February itself, this month’s reviews are shorter and sharper than usual. With the school term up and running, I’ve found there’s been a lot less time pool and beach side for uninterrupted reading. Diabolical reality TV and Words With Friends have also proven to be very distracting. I really need to put my phone down and turn off the TV more often! Nevertheless, I’ve read, watched and listened to some really interesting things this month. 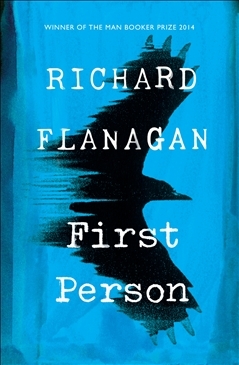 I immediately bought this book after I listened to this brilliant interview of Richard Flanagan by Richard Fiedler on Conversations – it’s one of my favourite episodes of Conversations ever. I was intrigued by the book’s premise that drew on Richard’s previous experience – a young, aspiring writer who is asked to ghost write the memoir of a dubious businessman and the subsequent impact this has upon him. This is a hard book to review though. On the one hand, it’s very well written, structured and clever in many respects. At the same time though, I did find it a bit of a slog to read – it’s long – and found that because the story involved so few characters, there was a lot of internal dialogue going on and I wasn’t particularly enamoured with any of them. In the end, I felt like not only the writer was falling into the abyss created by the businessman – I was too! It really is a very good book but not one I really enjoyed reading. I know that sounds weird but that’s how I found it. I’d be interested to hear what others thought? Turia Pitt’s Unmasked was listed in both my book clubs so I knew I had to make time to read this memoir of sorts. In terms of it’s structure, interspersed with Turia’s reflectionsn are several chapters written by people in Turia’s life including her partner Michael, Michael’s parents, the doctor, her coach, father and another competitor of the ultra marathon who was also caught and severely injured in the bushfire that nearly killed Turia Pitt. These chapters gave interesting and differing perspectives on Turia’s journey to date and broke up the usual, Then I Did This narrative that some memoirs can follow. There is no doubt that Turia Pitt is an extraordinary person – and was well before the bushfire – and that her tenacity, determination, honesty and positivity are incredibly inspiring. However, for me, the ‘hero’ or the other story for me in all of this was the unwavering and quiet devotion and care of her partner Michael. Like Turia, he is an exceptional person and I was deeply moved by his part in her story. If you’re looking for an easy to read memoir, I’d recommend Turia Pitt’s Unmasked. There’s an excellent interview with Turia on No Filter too – mentioned below – that is the perfect companion to the book too. 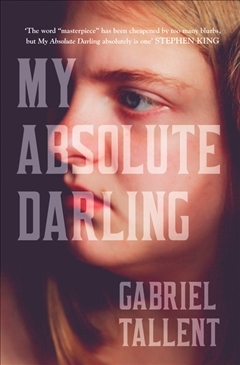 I’m still reading My Absolute Darling – I’m almost halfway through – but man, oh man, do I need a debrief. I don’t like to give anything away from a plot perspective, but I confess I almost put this book down after the first couple of chapters. I don’t shy away from the confronting – I adored A Little Life after all – but there was a scene early on that was so awful – and set up the complex and disturbing family dynamic that is at the heart of this book – that I wasn’t sure I wanted to continue. I did go on though because the writing is excellent and there is nothing gratuitous in the telling of the awfulness. That’s important for me. In any event I have continued – mostly because I actually bought the book – and I’m intrigued to see what happens to the enigmatic Turtle. Stay tuned for my full review next month. While I can’t say I enjoyed all of the subject matter or found everything believable, I thought this series was exceptionally well acted and produced. At the end of it I commented to Mr SnS that it’d been a while since I found a TV series anywhere near as compelling. If you haven’t watched it, my advice is to Buckle Up and enjoy the ride. And cancel all your plans for the next day or two. I’ve also been catching up with Season 2 of Riverdale – loving the Twin Peaks-esque soap drama of Archie and the gang – and I’ve also started Season 3 of The Fall finally. I went to the movies with the girls to watch Pitch Perfect 3. It won’t win any Academy Awards but it was a lot of fun as you’d expect and wrapped up this trilogy nicely. I also watched the divine fully animated film, Loving Vincent which chronicles the life of tortured artist, Vincent Van Gogh. It’s an extraordinary film in that it’s a dramatised re-telling of Vincent’s life using his paintings as the basis for the animation. I’ve been looking for a podcast talking about – surprisingly – books. I tried an episode of The Bookshelf which was OK, and then I found BBC Radio 4’s The Bookclub which is terrific. In each episode, an author is interviewed about their books. I’ve listened to several eps already and really enjoyed the episode featuring Elizabeth Strout discussing Olive Kitteridge – SO good. The episode featuring Emma Donoghue discussing her book Room was fascinating too as was the episode in which Ann Patchett discusses Bel Canto. In each episode, the author answers audience questions and reads an excerpt. It’s just a tiny bit thrilling! 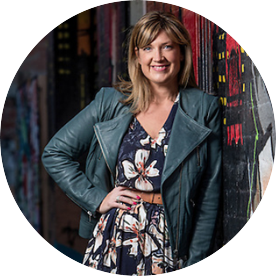 I also really enjoyed the following episodes of Conversations on ABC Radio – The Tattooist of Auschwitz and The Family Jail Sentence – the ripple effect of losing a parent to prison. Both were excellent and I’d highly recommend them. If you want to read The Tattooist of Auschwitz first, you can find it here – I feel like I don’t need to read it now I’ve listened to the podcast though as major plot details have been revealed. Over on Mia Freedman’s No Filter, I listened to A Mother’s Story About Anorexia and Turia Pitt and would recommend them both. I’ve also started the three part series Silk Road on Casefiles. It feels like listening to a book – they are long episodes but tell the story of a online store, Silk Road on the dark web and the people behind it. It’s crazy stuff. So over to you, what have you been reading, watching and listening to lately?